Aisen, the high tech brand bringing balance in smart innovation with exceptional quality, launches the ultimate Theatre experience for Homes with‘A55UDS972’IPS Panel 4K UHD Edge LED TV, that uncovers the magic of true colors, contrast and detail. Priced for Rs. 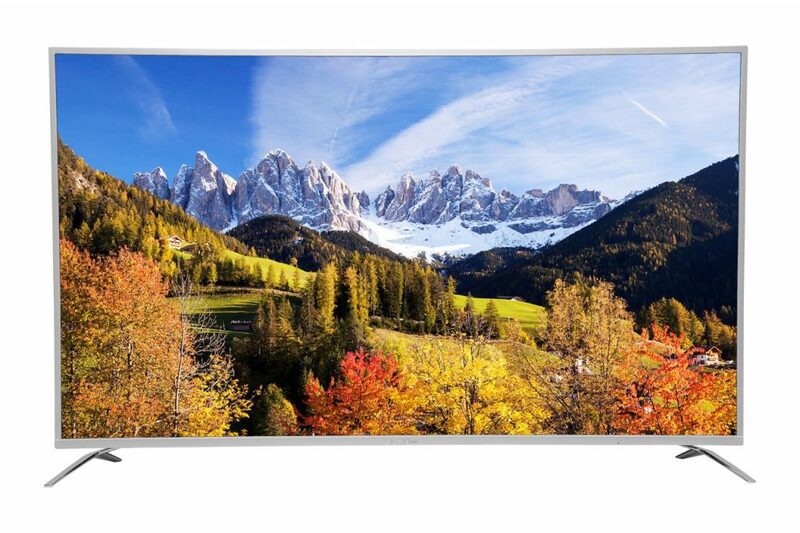 55,950/- the Edge LED TV is equipped with a host of functionalities, uncompromising pictures and a super slim design. Enhance your viewing experience with the Edge LED TV, that comes with the presence of LED lights under the TV screen, rendering refined images that look absolutely crisp and bright. With the new complete 4K UHD & IPS Panel Technology the TV injects extra brightness focusing on smaller details and crisp colors. while the Wide viewing angle, brings marvelous viewing pleasure from all the over sight. The TV also brings stable picture quality with no after image or flashing in case the screen is touched, while the High Transmittance facilitates high resolution with low power consumption. Aimed at providing seamless experience, the 1.5Ghz Quad Core processor in the Smart TV is ready for the coming generation viewers. The processor is integrated with 2GB RAM + 16GB ROM, that empowers super speed navigation enriching Gaming experience. The TV comes with in-built Dolby Audio, featuring the surround sound experience and output power of Audio is 16W.Featuring Hot keys – Remote Control, the TV comes with Single touch button to access Multimedia, Wi Fi, and on demand popular video application. With the help of E-Share, cast your smart device’s screen on the TV and enjoy the world of entertainment on a bigger picture both Android and iPhone. Running along the elegant design, are the multitude of connectivity options for 3 distinct HDMI inputs and 4USB Ports, allowing you to connect your laptop, gaming console etc. For an enhanced experience, connect the Smart TV to internet and watch the various shows, Movies etc with a simple click on the remote. The product is already available with 000 Offer which bring 0% Interest, 0% Processing fee and 0% Down Payment, with leading retail stores across various cities in India. Options For Smart TV Users – Web, Apps & High End Gaming!